While the branle and the saltarello were not particularly popular in England, the galliard successfully crossed the English Channel and was the favourite dance of Queen Elizabeth I. 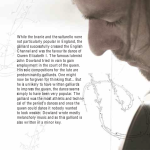 The famous lutenist John Dowland tried in vain to gain employment in the court of the queen. His solo compositions for the lute are predominantly galliards. 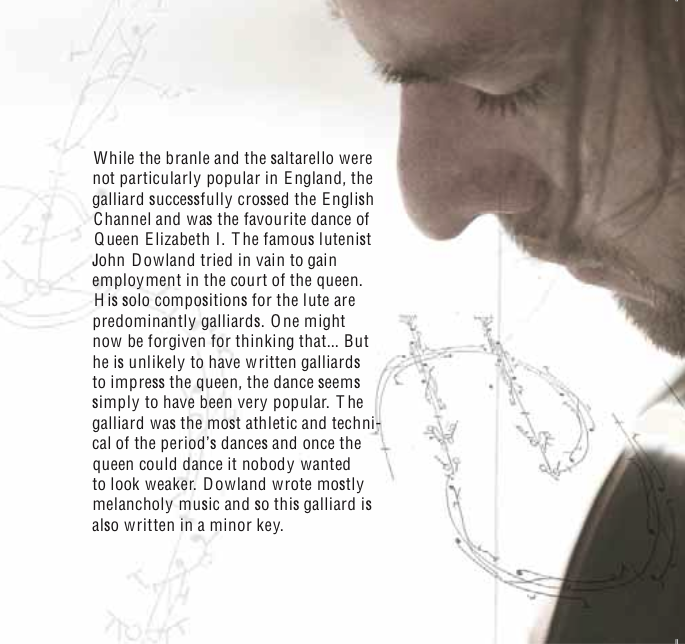 One might now be forgiven for thinking that… But he is unlikely to have written galliards to impress the queen, the dance seems simply to have been very popular. The galliard was the most athletic and technical of the period’s dances and once the queen could dance it nobody wanted to look weaker. Dowland wrote mostly melancholy music and so this galliard is also written in a minor key.